Extreme weather with strong winds and heavy rain started the week at Alphonse Atoll but the situation calmed quickly as the tides shifted to neap, giving way to some of the most favorable fishing conditions experienced in quite some time. 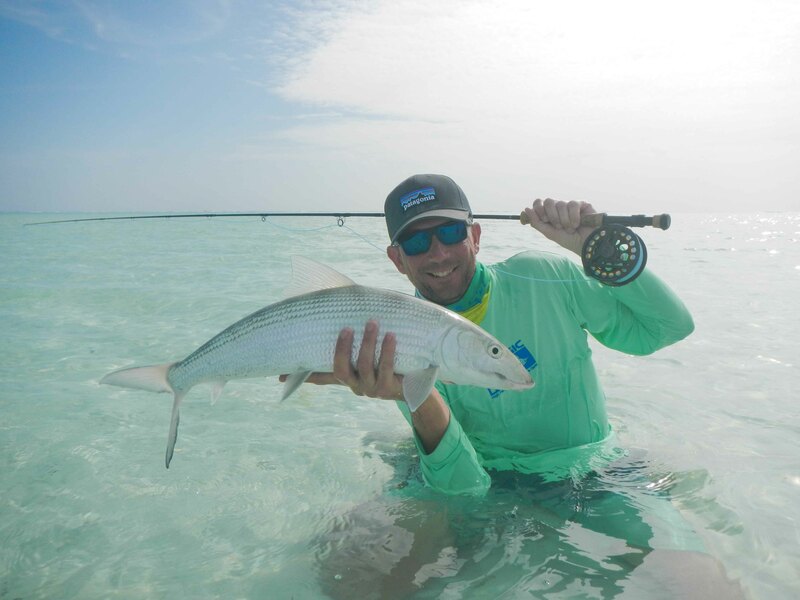 The last few days of the spring drop produced great numbers of large bonefish, mainly found on the eastern side of atoll as many first time anglers came tight on fish averaging 50 – 60cm. 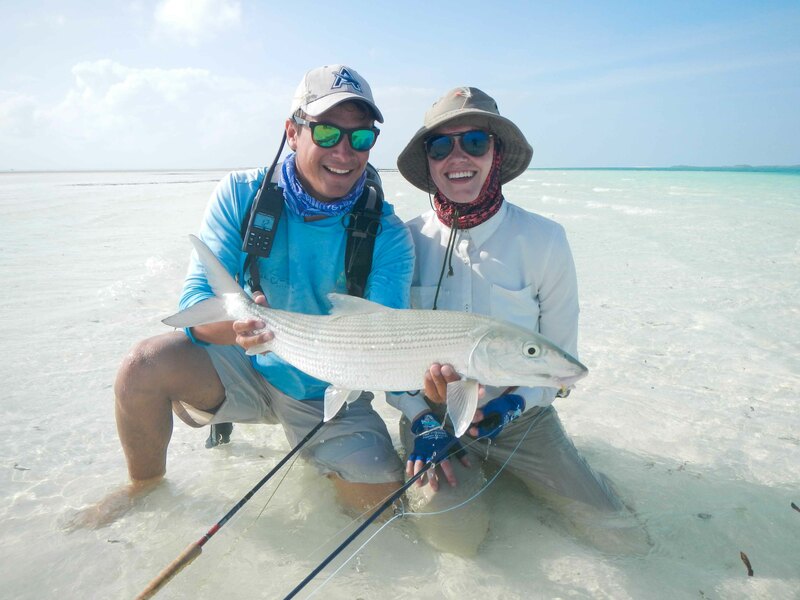 William Langley and Sue Rouse specifically chose to target plus size bonefish and their efforts were rewarded with a 65 and 64cm fish on Pancake Flat. As the tides weakened the lagoon and bluewater absolutely came alive. 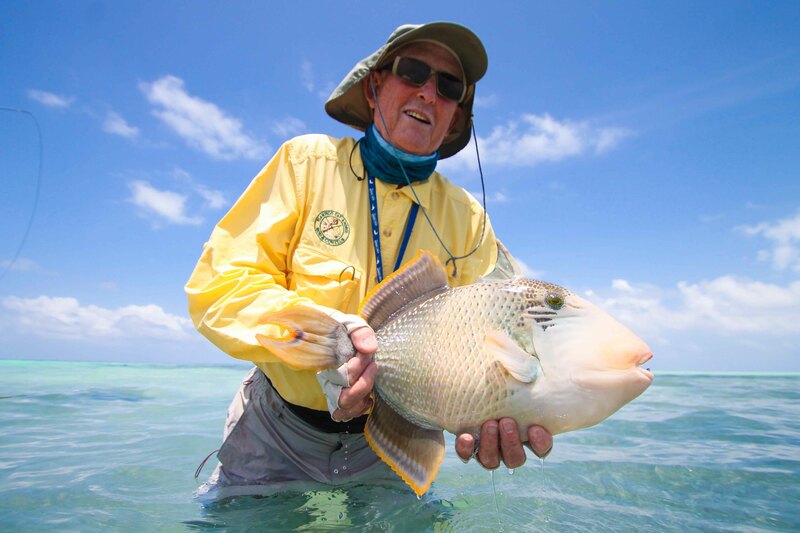 Small rabbitfish were abundant and so too were their predators as eight Giant Trevally’s were landed in the week. Daniel Parham and Jonathan Stutten fished exceptionally well landing a total of four GT’s, with the best moment being a double up on 87 and 90cm fish. 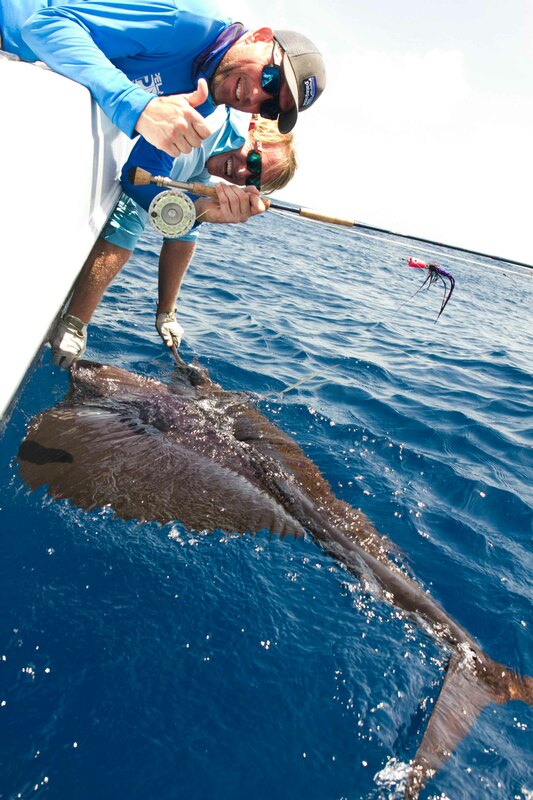 Dan also fished bluewater landing a Sailfish on the fly. 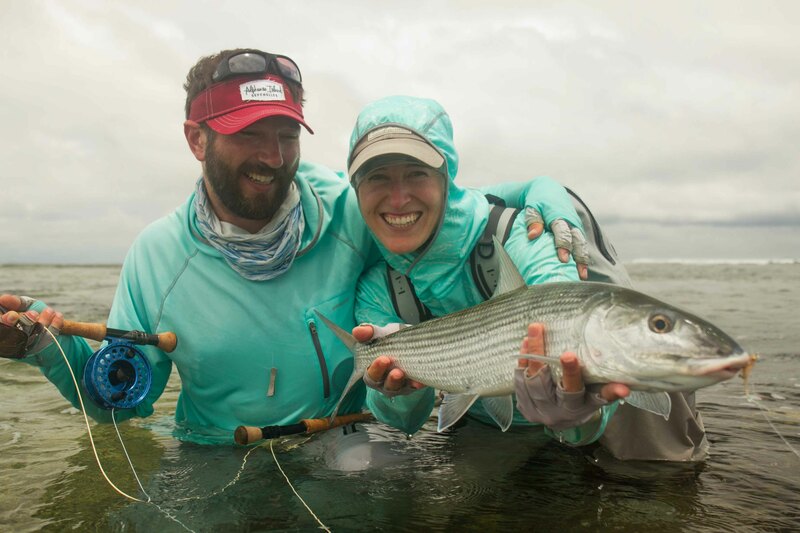 Congrats to both anglers and an extra cheers to John who started his week learning how to cast a fly rod. 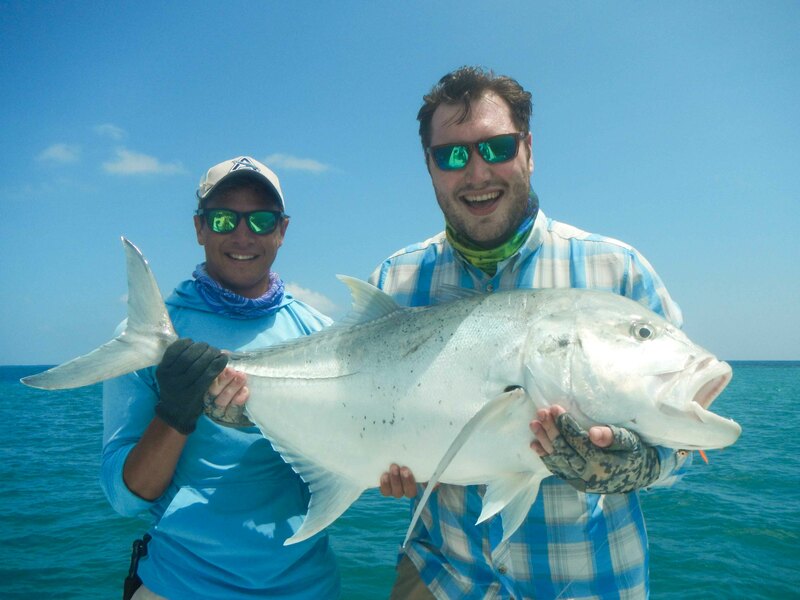 The largest GT of the week goes to Benedict Wiegman, who landed two with the best being a massive 105cm just west of Bijoutier. Triggerfish were wild nearing the end of the week but continued to be the masters of their domain escaping into holes and crevasses. However, one beautiful yellow margin was eventually stopped by John. Bluewater angler Fernando Santaniello ran north to the seamount and was rewarded with the first recorded blue marlin in Alphonse history along with a sailfish, wahoo and yellowfin tuna for an incredible ‘Bluewater Slam’.